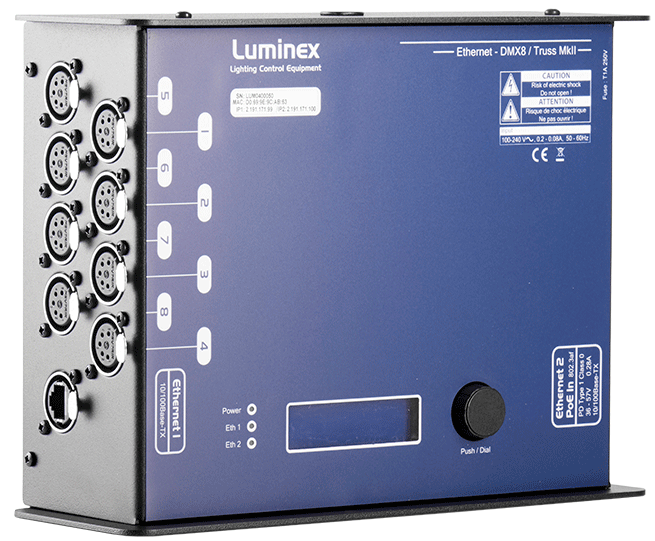 Metal housing, ruggedized Ethercons and shielded DMX connectors, ideal for touring and live events. 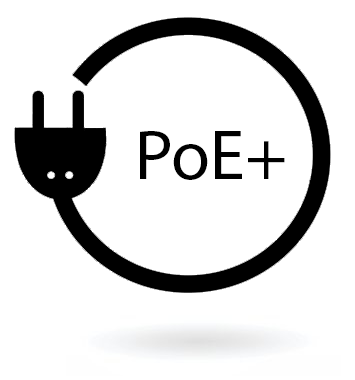 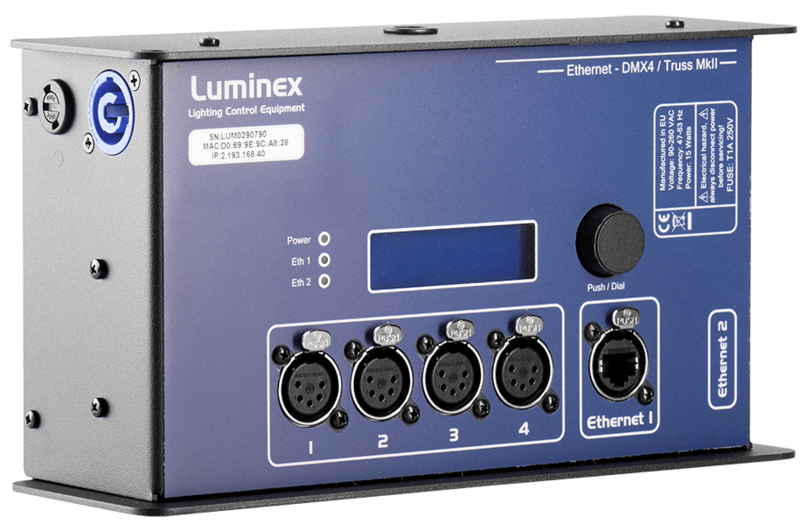 This Ethernet-DMX unit can be powered over Ethernet (PoE) or with a standard power cable. 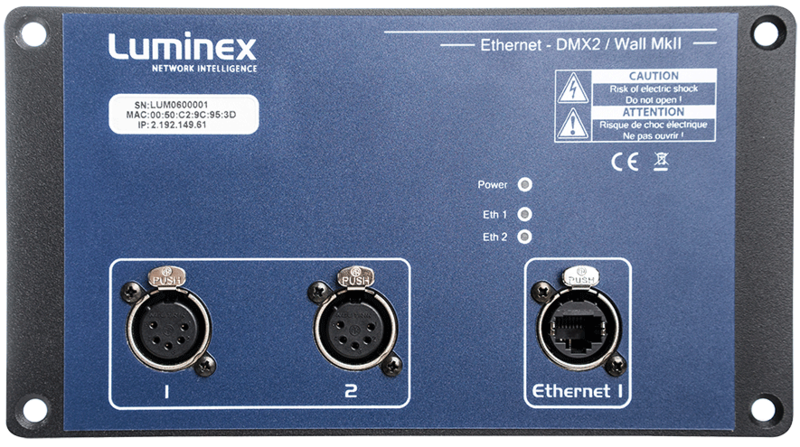 The Ethernet-DMX2 Truss MkII has been designed to fulfill the need of a small, rugged and efficient converter. 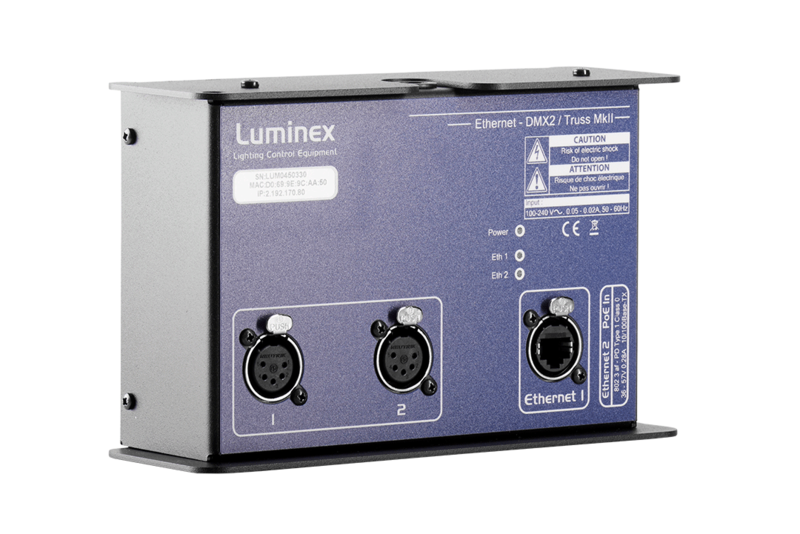 Fitted in a robust enclosure, the Ethernet-DMX2 / Truss MkII offers all the great functionalities of the Ethernet-DMX engine. 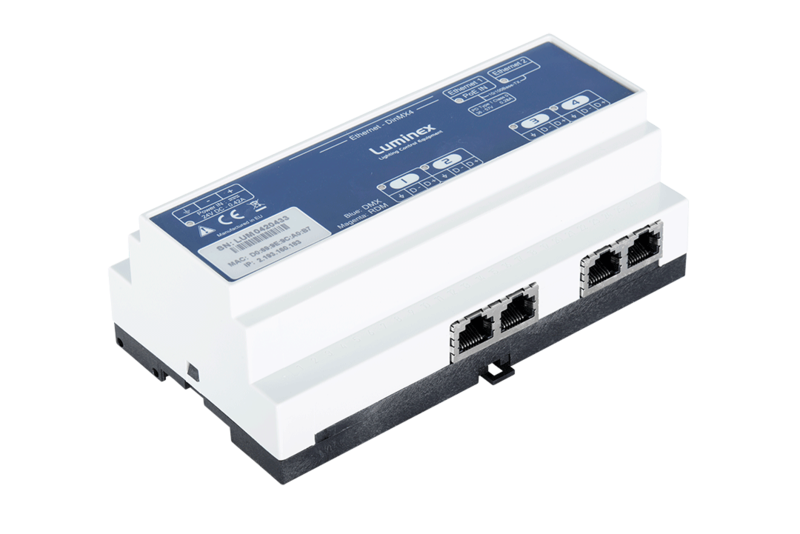 The unit is powered through a Neutrik Powercon connector, but can also be powered over Ethernet (PoE). Thanks to its versatile design, the unit can be used either in desktop or truss mounted applications.